Mighty Earth is working to make sure US biofuel policy is truly green. As federal mandates drive a steep rise in production of corn ethanol and soy and palm biodiesel, it becomes more and more clear that increased crop production for these fuels destroys native habitats, pollutes drinking water, and worsens the climate crisis. Mighty Earth is proud to join nearly 20 organizations from around the world in asking the EPA to ensure that biofuel mandates are set at levels that don’t drive the destruction of native habitats. All eyes were on Europe this month, as the European Union released its much anticipated, long-negotiated rewrite of renewable energy policy. A major report, just issued by the EPA, includes a sweeping condemnation of U.S. biofuel policy. Mighty Earth, ActionAid USA, Clean Air Task Force and Sierra Club announced the launch of an advertising campaign publicizing the environmental destruction caused by U.S. policies that mandate biofuel production. The new bill seeks to end mandates for biofuels linked to deforestation and climate change pollution and extend support for truly sustainable biofuels. The legislation boosts efforts in Congress to reform the Renewable Fuel Standard in ways that benefit the environment. Major conservation and environmental groups are calling for a scale-back of biofuel mandates, something that would benefit refiners like Philadelphia Energy Solutions. 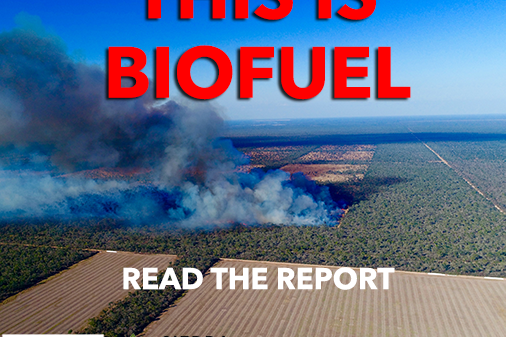 A new investigation, “Burned: Deception, Deforestation, and America’s Biodiesel Policy” by the organizations Mighty Earth and ActionAid USA has found that biodiesel is not the environmentally friendly, “green” fuel claimed by industry producers. This was a case where Trump should have done the right thing for the wrong reasons, but he managed to do the wrong thing anyway.